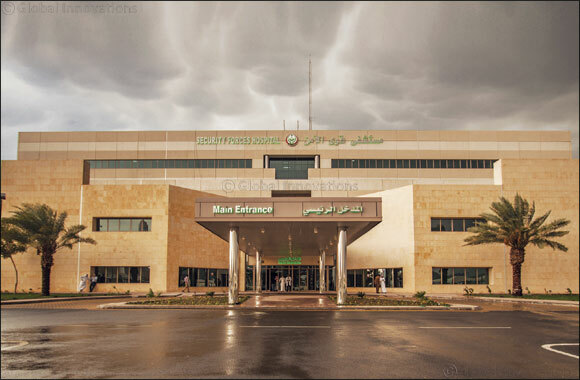 Makkah, Saudi Arabia (April 3rd, 2018) Security Forces Hospital Makkah has achieved the HIMSS Analytics Electronic Medical Record Adoption Model (EMRAM) Stage 6 using InterSystems TrakCare® unified Healthcare Information System. The HIMSS EMRAM Model, developed by the Healthcare Information and Management Systems Society (HIMSS) in Chicago, USA, is an international benchmark for the use of advanced IT to improve patient care. Security Forces Hospital Makkah is the First Hospital in the Holy Capital to achieve EMRAM Stage 6 in line with the standards of the Healthcare Information and Management Systems Society. The HIMSS Analytics EMRAM model employs an eight-stage (0-7) model that measures a hospital’s implementation and utilization of information technology. “We are proud of this important global recognition of achieving HIMSS EMRAM Stage 6 and joining the world's leading hospitals that have successfully invested in advanced healthcare IT systems to improve the level of services they provide. This award is a testament to our commitment to use advanced technology to provide the best care for our patients, and we thank InterSystems for helping us achieve this important milestone', said Eng. Yasser Ibrahim Alkenani, Information and Communications Technology Department Director at Security Forces Hospital Program Makkah. Security Forces Hospital Makkah Stage 6 award will be recognized at the upcoming HIMSS Conference in the Kingdom of Saudi Arabia.